The arrival of autumn doesn’t fill me with great joy-log fires, misty mornings and burnished leaves aside. However, there is one reason to rejoice as this season sees the sublime Vacherin cheese hit the shelves. This Alpine cows’ milk cheese is available from the end of September to the following May. 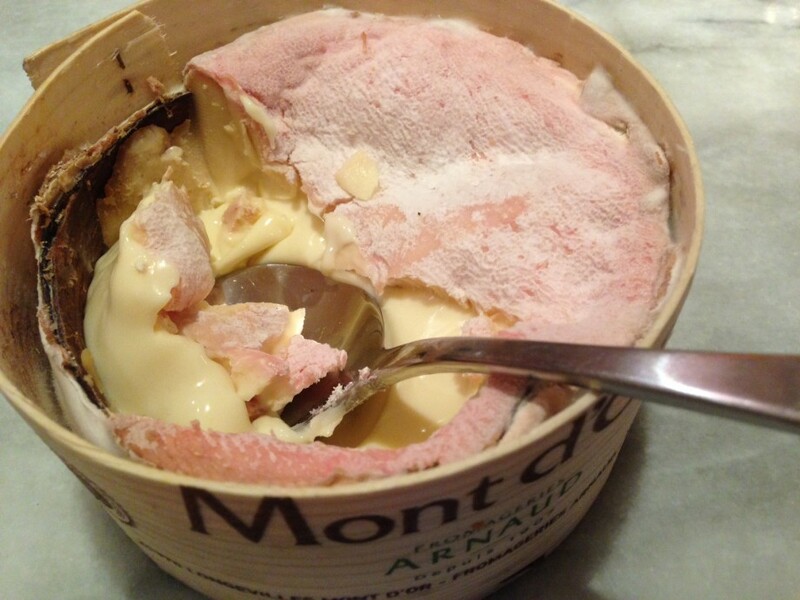 If you don’t know Vacherin it is a rich, melting, oozing cheese, made from the milk of cows which have been grazing in Alpine meadows all summer. The cheese has a characteristic undulating crust which hides a runny interior.It is always wrapped in a strip of spruce bark to prevent it collapsing and then packaged in a spruce box. Vacherin should be served with a spoon and its perfect partner is bread rather than a savoury biscuit: although, having said that, a spoonful of Vacherin and a Peters Yard Artisan Crispbread is a pretty fine combination. The cheese can be warmed in an oven and served as a dip too. No Christmas cheeseboard should be without one of these fine cheeses so remember to order one as they tend to sell out by the third week of December.